Hymnus in Festo Nativitatis Domini Nostri Jesu Christi. Mors Mortis, the Death of Death. A Christmas Posy, Being Ten Poems. Laud of the Holy Cross. Inasmuch: A Legend of the Christ-child and of Corporal Works of Mercy. The Spirit of Truth: A Whitsunday Sermon Preached in the Church of the Advent, Boston, May 31, 1903 with special Reference to the Emerson Centennial Observance. Boston: Church of the Advent, 1903. The Legend of the Monk Lawrence. In Stabulo: A Christmas Carol. Saint Bernard on Loving God. "Born of the Virgin Mary:" A Correspondence between the Rev. 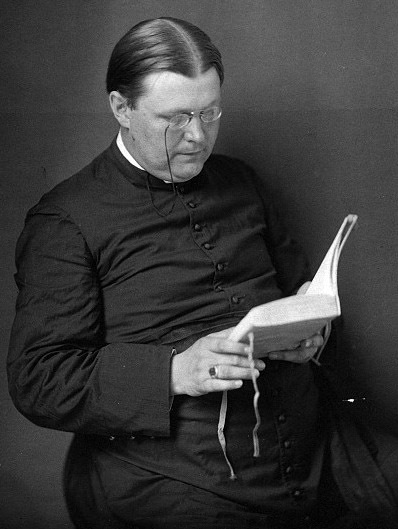 William Harman Van Allen, S.T.D., L.H.D., Rector of the Church of the Advent, Boston and Certain Officers of the Board of Education of the Diocese of Massachusetts. Milwaukee: The Young Churchman, 1912. Alien Romanism versus American Catholicism: A Reprint of Three Sermons and Two Essays. The Crime of the Lusitania: A Sermon. Boston: Church of the Advent, 1915. The Falsity of Christian Science, So Called. Keene, New Hampshire: American Society of Church Literature, 1916. Remember the Lusitania: A Sermon Preached in the Church of the Advent, Boston. Boston: Massachusetts Catholic Club, 1917. The First Annual Catholic Congress: Essays and Papers. Philadelphia: Published by the Central Conference of Associated Catholic Priests, 1926. The Church's Chief Act of Worship.